Stamp This! 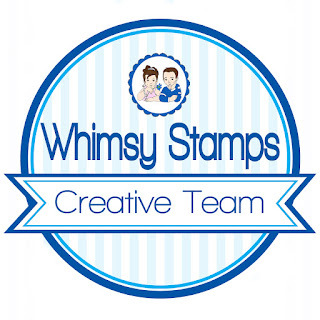 : Whimsy Stamps - WOW! 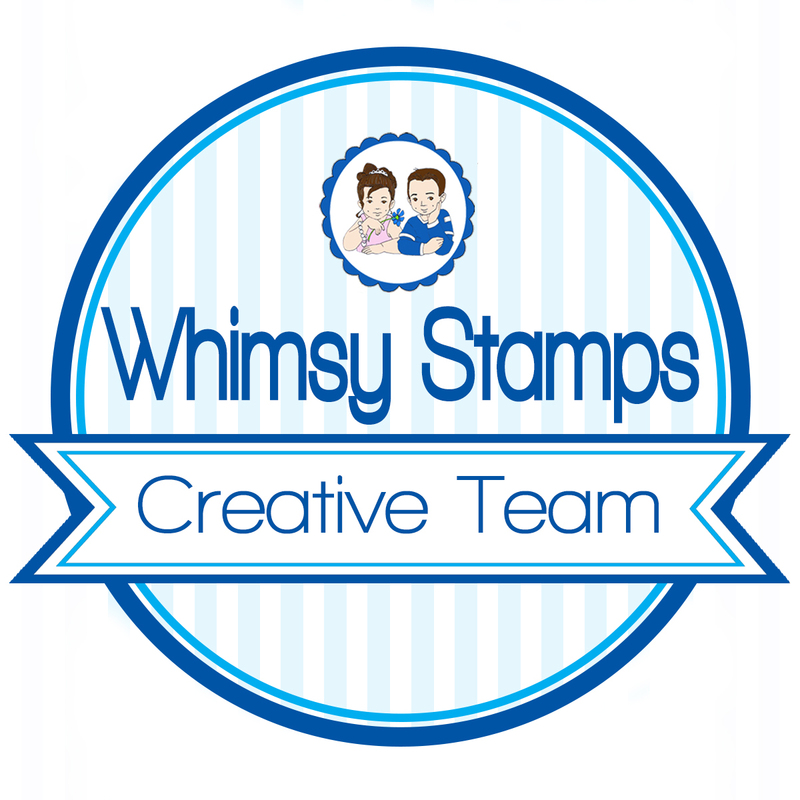 Welcome to the Whimsy Stamps and WOW Blog Hop! I have two cards to share, the first is this congratulations on your new baby card. 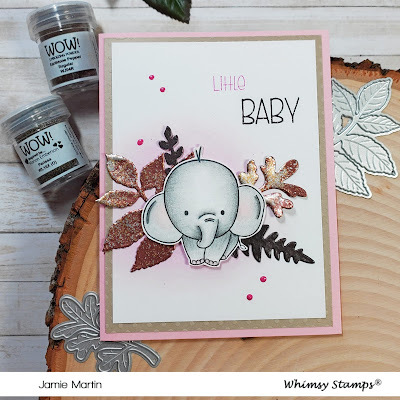 It uses from Whimsy Stamps the Jungle Babies Clear Set, the Pierced and Stitched Circle Die Set, Quick Strips Die Set and 6 x 6 Paper Pack- Pretty Pastels. The WOW embossing powders used are Opaque Bright White on the watercolored green circle and the sentiment on the tag. Opaque Primary Frozen was used to repeatedly emboss BABY on the bottom half of the patterned paper. 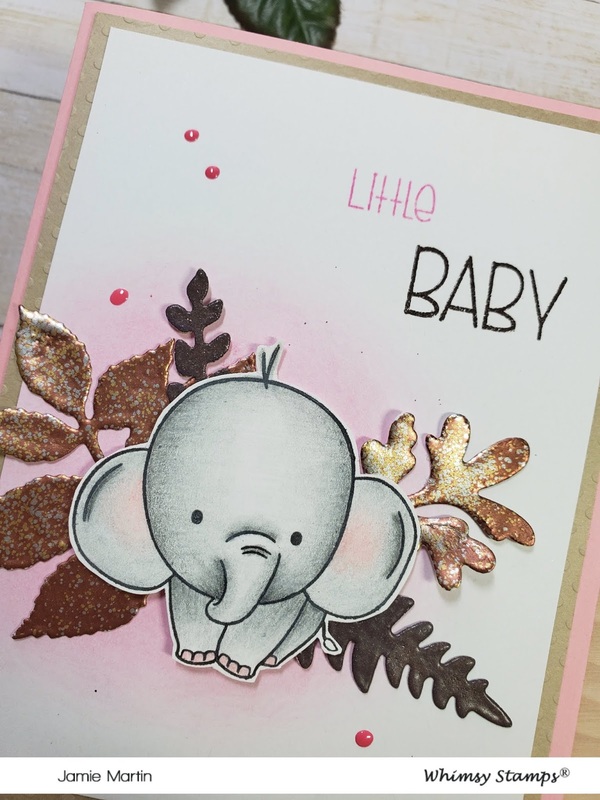 My next card also uses the Jungle Babies Clear Set from Whimsy Stamps plus the Leaf Foliage 2 Die Set. Leaves were die cut from white cardstock then the tops were rubbed with VersaMark Ink with the two larger leaves being embossed with WOW Perissa Embossing Powder and the two smaller ones embossed with Earthtone Pepper Embossing Powder. Here's a close up so you can get a better look at the embossed leaves. This week Whimsy Stamps and WOW! Embossing Powders are having a Blog Hop and WOW do the Designers from both teams have beautiful cards for you see and comment on!! Prizes- No Blog Hop is complete without a prize! WOW! Embossing Powders has 6 powders of your choosing along with a WOW carry case to store your powders safely in. The Winners will be chosen at random in the week of the 22nd April from the comments left on ALL THE POSTS. 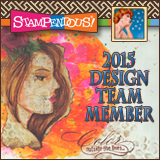 Now go comment on these talented Design Team Members Blogs for your chance to win!! I am on various Design Teams and get free goodies for blogging about craft products but only because I love their products and genuinely use them. Ultimately my opinions are my own. A list of companies is in my sidebar. 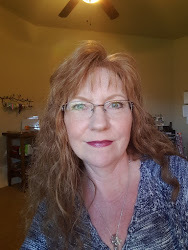 I am also part of various affiliate programs – when you click on an affiliate link and then go on to make a purchase, at no cost to you, I receive a small commission. 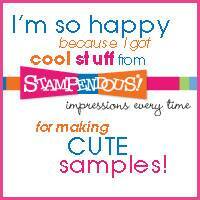 The affiliates I use include Rubbernecker Stamps and Whimsy Stamps. I hope if you like the content of my blog you will support me by clicking through these links to make your purchases. Sweet baby cards! Love the cute critters and the pretty detail with the embossing powders! Oh I love these cards! oh so super fabulous.. just love those embossed leaves and designs.. I LOVE LOVE LOVE that little baby set from Whimsy! And the embossing is fab! Who doesn’t love little lions and elephants. I just love this cute stamp set. And WOW was a real WOW for me with the colors on those leaves. I am wanting those....so beautiful. What a great job on these sweet cards. I loved seeing those stamps/dies and the great WOW powders used. Thank you so very much for sharing. I hope you have a splendid weekend. Oh my goodness! How Cute! Love the WOW powders and the cute stamps! Nice embossing of the leaves and the baby cards are too cute. Very cute! I have six baby showers to attend soon so this is great inspiration!! These are soo a adorable. Adorable cards to welcome a new one. I love your use of embossing powder on your cards. Thanks you! Such sweet cards. Love how you've incorporated the embossed leaves on your second card. Unexpected but so pretty. Oh my goodness, these are too cute. Perfect for welcoming a new little one. Wow! I'm totally in love for your adorable and sweet cards! Colouring is so lovely!!! So cute with these baby animals.